In the past, School Districts with a traditional client server based Student Information Systems, managed their own servers, performed their own backups and ensured their own data security, often straining their already overworked IT staff and resources. 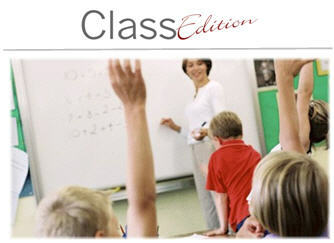 Classroll.com is the most experienced student information system vendor offering a completely hosted student management system, giving school districts all of the benefits associated with the On-Demand or Software as a Service (SaaS) delivery model. Simply, there are no servers for you to manage, and no software for you to install. As a result, you’re always on the latest version, with access to the latest features, performance, and security enhancements at no additional cost. Classroll.com is not just a web-based system that manages student information software, but a complete web solution for school districts that eliminates all the old infrastructure and technology barriers associated with school management software. Classroll.com, an innovative education software company specializing in a new student information management system, continues to stay on the cutting edge of technology, addressing school administrative software needs in the education industry today. In a market saturated with big name student management software packages, Classroll.com’s student management system was developed with the end user in mind to be the most efficient and easy to use product on the market. Unlike Powerschool and other student information systems, Classroll.com has been on the web utilizing and perfecting our SaaS (Software as a Service) delivery model for over ten years. We have a state of the art hosting facility unmatched by any other student information system vendor including Powerschool. Because of our delivery model, the implementation and utilization of Classroll.com’s online student information system is not limited by the technology resources available at your school. Classroll.com’s product series for Administrators, Teachers, Counselors, Parents and Students has its own unique student management system solution for tracking and analyzing student performance on Academic Standards that can be used separate from our standards-based grade book. 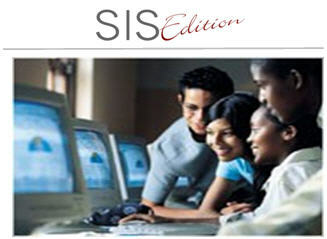 So if you use traditional student information system software but would like to include Teachers, Parents and Students in the process, you can use our powerful standards-based gradebook system (Class Edition) with your existing student information management system software just as you have been able to in the past. Does your school district have a web-based or online student information system that can share data across all the education stakeholders in your district? Having a web-based or online student information system is one way to turn your school into an efficient 21st century technology savvy school. Unlike PowerSchool and other student information systems, Classroll.com was designed to be an out of the box solution for administrators, counselors, and teachers—the primary end-users of school administrative software and student management software. It is unlike any school administrative software you have seen before. Your student information system is a vital tool in the education process for your school. In an age where higher demands and accountability are placed on schools, student management software that is cumbersome and inefficient can be a barrier to progress. The traditional one-size fits all student management systems are no long viable. Having an efficient student information management system will save you time and free available technology resources for other projects in your school. The developers of Classroll.com have vast success and experience, including developing HomeProzz.com. Visit Classroll.com today to learn more about our complete student information system software and other school administrative software solutions then contact us to see a demonstration.